When it comes to business insurance, it’s important to understand the difference between sexual harassment and sexual abuse. It’s a terminology issue that dictates the types of business insurance coverage required. What is considered sexual harassment or sexual abuse? It truly depends upon the specific definitions and terms in the policy coverage. The coverage required (Employment Practices, or Abuse and Molestation) is defined by the victim. Who is the harmed person? Sexual abuse and molestation is when employees work with third-parties who are usually under their care in some way. This usually refers to a client, patient, or resident. Businesses at risk of sexual abuse and molestation claims include those who work with the public, and especially those who are underserved or mentally, physically, or emotionally challenged – typically people who have difficulty protecting themselves. For example, shelters, daycare centers, physical therapists, counselors, youth groups, schools, sports organizations, and religious organizations. 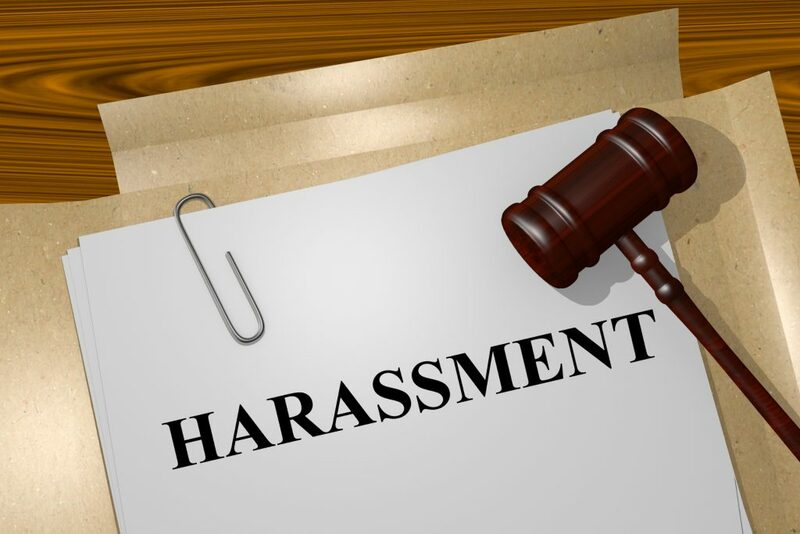 In the case of sexual harassment, Employment Practices liability policies refer to a covered ‘wrongful employment practice act’. This can be simply “sexual or workplace harassment of any kind”. Another policy uses a much more detailed definition of “sexual harassment including any unwelcome sexual advances, requests for sexual favors, or other conduct of sexual nature that is made a condition of employment with or used as a basis for employment decisions by, interferes with performance, or creates an intimidating, hostile, or offensive working environment with the organization”. Such coverage can often be extended to also cover injured Third Parties, such as customers, suppliers, and vendors, as well as employees. Sexual harassment happens to employees. It can happen between two employees in the same office, on a phone call, or in the field. That is the simple basis for their interaction. In some cases, they may not actually work together, such as being on the same team for a project, they are just working for the same employer. Sexual harassment claims can also be made by vendors, suppliers, and customers against the employer. As the employer, you have a responsibility to keep your employees safe, which extends to third-parties. As an employer, of even 1 person, it is your responsibility to take care of your employee when they are working. In addition to having the right business insurance, you should have good business practices, such as also instituting and adhering to sexual harassment policies and procedures. Educate your employees on how to behave at work. New York just passed strong anti-sexual harassment law requiring all employers to have a sexual harassment policy in place by 10/09/2018 and must provide sexual harassment training by October of 2019. Employers need to document that this is being done and employees need to sign that they’ve attended the training. Proper procedures when dealing with clients in your care (i.e. children, patients) should be instituted and implemented. The value of having documented policies cannot be overstated, however, for smaller businesses without a human resources department, this can be a daunting task. The good news is that although Employment Practices coverage and Sexual Abuse or Molestation coverage are such a quagmire these days, your insurance agent will walk you through the application process. The list of questions is long, and the more procedures you already have in place, the better position your business will be in to mitigate risk. However, even if you don’t have some of these in place, you may still qualify for coverage. Since it’s in the best interest of the insurance company, sometimes the policy or company gives you resources to either an 800 number or they'll provide you with a boilerplate that you can use to develop your policies. Additional resources include the Society for Human Resource Management [shrm.org], SCORE [score.org], and don’t forget to speak with your business attorney. What your insurance agent and insurance policy underwriter (and you) really want to see is that your business is doing everything it can to avoid having a claim. The right business insurance is imperative when you get sued, and so are all the elements that were requested on the application - your documents, policies, and procedures. These all work together to reduce the instances of sexual harassment and sexual abuse allegations, reduce the risk to the business, and have the claims easily defendable or able to be won. Your policies and procedures help protect you and your employees, and the right business insurance coverage helps protect your business.